Among the 5000 exhibitors from 70 countries in Frankfurt am Main at Automechanika Exhibition - ATOMIUM brand has been presented! The Global brand Russian technologies "SUPROTEC" under ATOMIUM brand is already known on all continents! 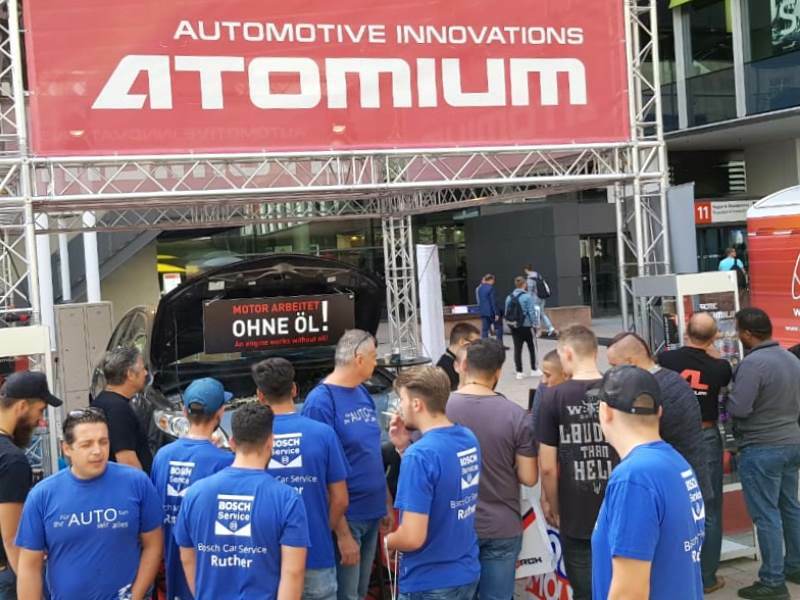 Here the participants and guests of the one of the largest in Europe Automotive forums in Automotive industry with the big interest learned more about our technology of repair and prolonging the lifetime of the engine and products that developed in Russia and penetrating now world market with ATOMIUM Brend! Being one week here we met with more then 150 companies in Automotive industry who is willing to work with us and become our dealers in different countries and continents. A lot of people was interested to start use our tribo-technical compounds for the own cars and has possibility to buy it here from us. You can find our dealer in your country now, or you can become our dealer in your country, in case you can’t find our products in your land.